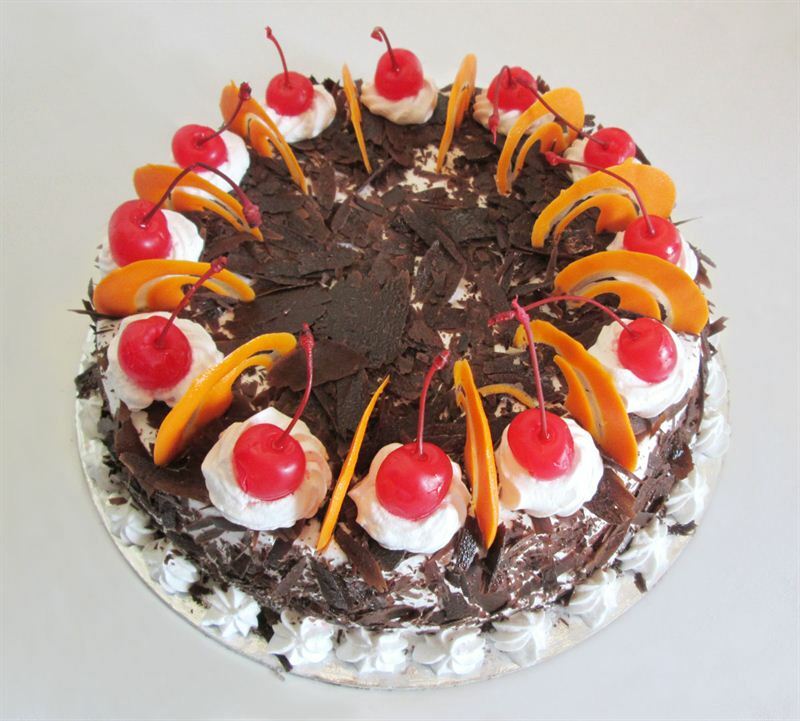 A Delicious and Juicy Black Forest cake prepared by Patisserie team of the Soaltee Crowne Plaza, Kathmandu. Known to be rich in ingredients, this Black Forest cake consists of chocolate sponge at the base smothered with majestic layers of fresh whipped cream and cherries. The decoration also involves bountiful of chocolate curls and fleck of whipped cream which is topped with stunning red cherries on it!